In Vosges, a region of abbeys, lakes and greenery, Anne, Laurine, Julie and Corinne welcome you to the IBIS SAINT DIE DES VOSGES, a hotel that's well worth the detour on your way to Alsace. Come and take a look around! 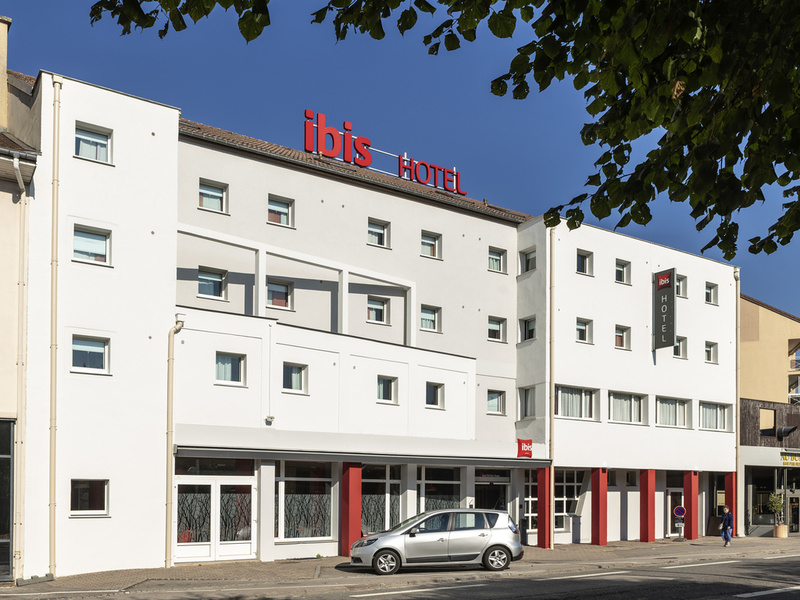 The Ibis Saint Die des Vosges hotel is in the centre of Saint Die des Vosges, on the bank of the Meurthe, in the heart of the Yourg massif, at an equal distance from Strasbourg and Nancy. Close to Haut Koenigsbourg castle, lake Gerardmer, the Baccarat crystal works, the hotel offers for booking 58 air-conditioned rooms, with Wifi access, including 3 adapted for disabled guests and 1 meeting room. A restaurant, a bar, snacks 24/24 and covered pay parking are at your disposal. City center hotel on the banks of the Meurthe River, in the heart of the Vosges mountains. A pub atmosphere and brasserie cuisine to enjoy with a beer.